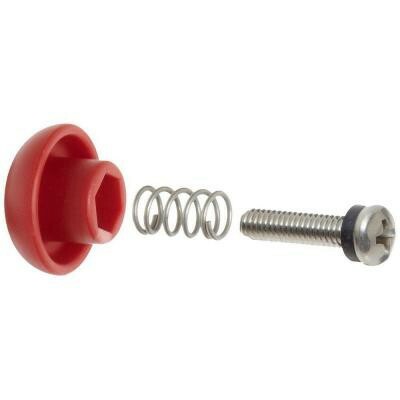 Replacement Pressure Release Button Kits with Spring, Screw, and Gasket. Use these with many brands of #10 & #20 Standard Whole House Housings, #10 & #20 Big Blue Filtration Housings, and 3G Water Filter Housings. If your housing is leaking around the pressure relief button, replace the pressure relief button with this kit.